Eco Insulation® has a lot to offer with the new rebate, available through the GreenOn Rebates and Union Gas Home Reno Rebate programs! You own a detached, semi-detached, town house or mobile home. It’s heated by natural gas, oil, propane, electricity or wood. It’s located in the Union Gas program area. 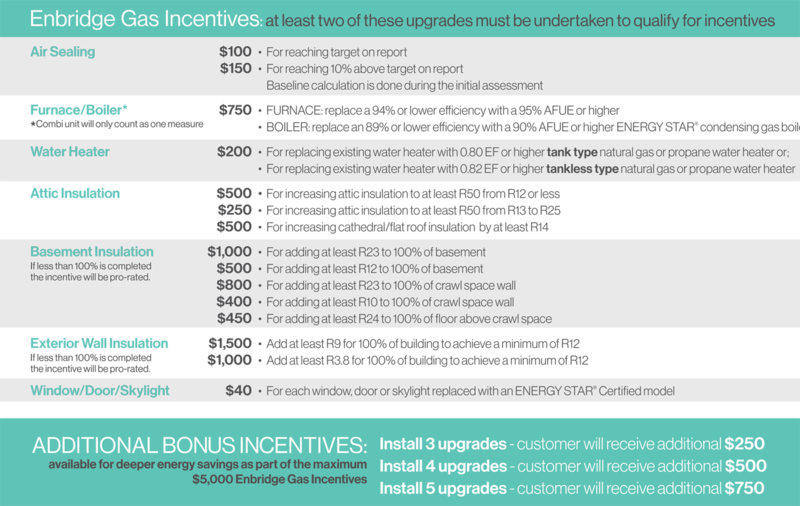 Now more customers than ever before can qualify for thousands of dollars in available incentives from Enbridge Gas on their home renovation projects. Each Service Organization provides the same customer experience and will be able to facilitate the rebate on the customer’s behalf. 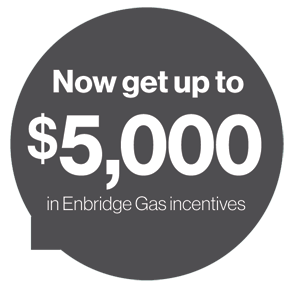 Upon successful completion of the program, Enbridge Gas will include a $550 reimbursement in their final incentive cheque to offset the cost of both energy assessments. To qualify for the Home Energy Conservation Program, homeowners must also agree not to participate in any other gas or building envelope program(s) offered by parties outside of Enbridge Gas Distribution Inc. between the initial and final assessments. Program is effective to December 31st, 2018. Natural gas fuel savings are based on approved modeling software. Only one enrollment for incentive per household is permitted. To find out if you qualify for incentives, a pre and post home energy assessment is required by a Program approved Registered Energy Advisor (REA). No more than 120 days between the assessments is allowed. In special circumstances, your REA can request an extension. Please contact one of the Enbridge approved Service Organizations listed at enbridgesmartsavings.com for further information about this Program. The Home Energy Conservation Program is only available for residential detached homes, row towns and semis – no multi-residential buildings or condos. Additional information on the Program can be found at enbridgesmartsavings.com. Program may be subject to change or cancellation without notice at any time. Homeowner is responsible for ensuring they meet the Program eligibility requirements, choosing a qualified REA, keeping and submitting invoices, and meeting Program deadlines. Subject to additional terms and conditions found at enbridgesmartsavings.com. Subject to change without notice. The above incentives have terms and conditions in order to participate. 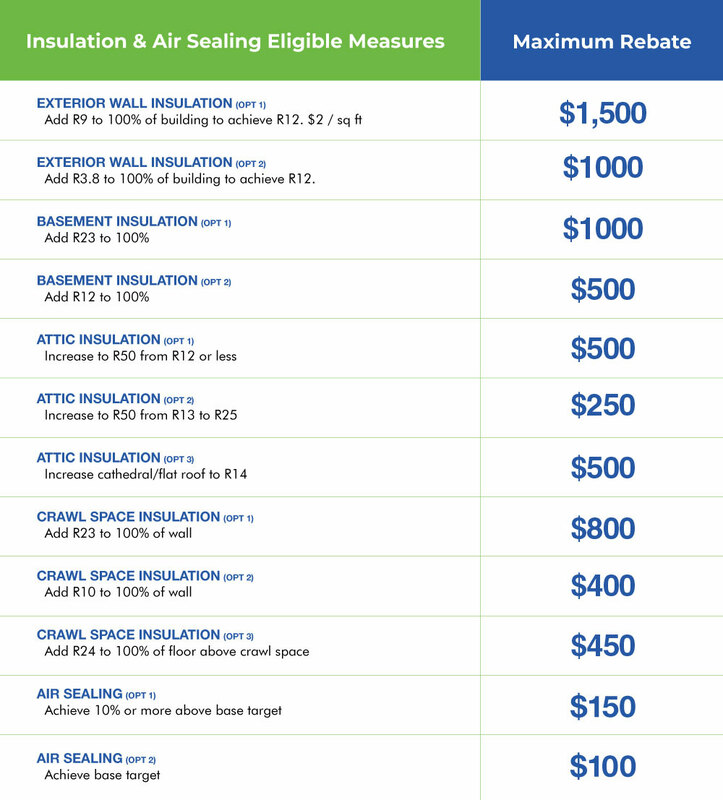 Contact Eco Insulation® today for full program details. *You may take advantage of the rebates available from both programs, however you are not able to use both programs for the same scope of work.